INDEPENDENCE, Ohio, November 23 — In the spirit of the Thanksgiving holiday, I am pleased to express my gratitude to all BLET members, officers and staff for their hard work and dedication throughout 2016. 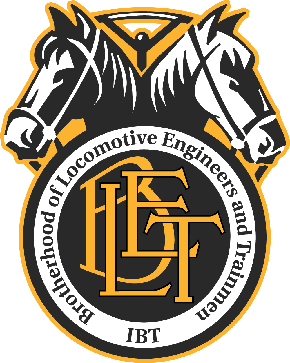 I know all BLET members are proud to join me in reflecting upon the brave locomotive engineers who founded our Brotherhood in 1863. The Organization they established has stood the test of time and flourished for more than 153 years now. Today we are the humble beneficiaries of their sacrifice, and I am thankful for those who endeavor to continue that legacy today. I am thankful for our Brotherhood’s Advisory Board. I am thankful for all of our Local Division officers. These men and women are some of the hardest working individuals in the entire Brotherhood, and they deserve our respect and gratitude — not only during the holiday season — but also all year long. I am also thankful for the officers and staff serving General Committees of Adjustment and State Legislative Boards throughout the country. Also deserving of recognition and thanks are our staff at National Division headquarters in Cleveland, our National Legislative office in Washington, D.C., and our BLET Auxiliary. As you know, our National Division moved into a new headquarters building back in early March. I am particularly thankful for those staff employees who helped make for a smooth transition into our new home. Finally, Thanksgiving can be an especially challenging time of year for BLET members and their families. Many members will find themselves in the cab of a locomotive or at an away-from-home terminal instead of at the dinner table with loved ones. Please join me in keeping all hardworking BLET members in our thoughts and prayers for a safe journey back home.